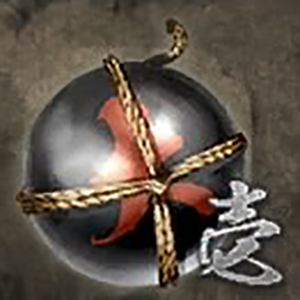 "An Iga style creation: a giant ceramic ball packed with gunpowder. The powerful explosion and ceramic shrapnel will cause terrible damage to all enemies in the area." Can be obtained one at a time with the Ninjitsu: "Fire: Mega Horoku-dama"